7 Chakras In Judgement Scene? 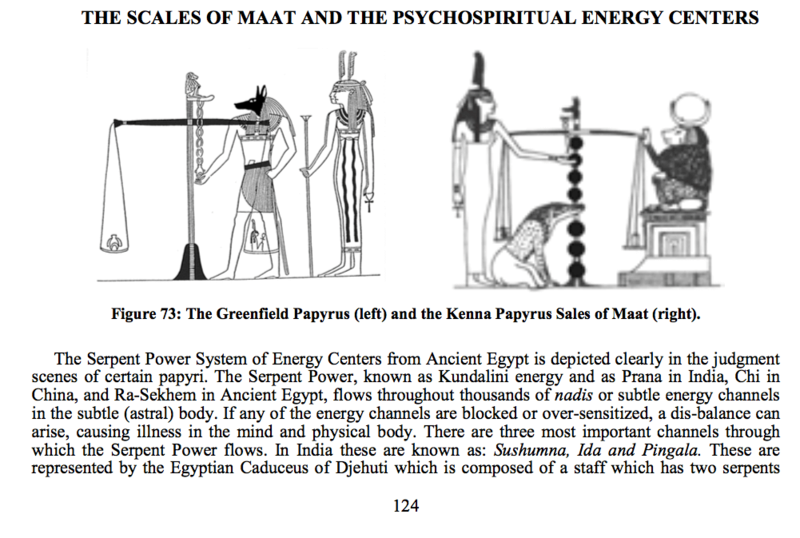 Is there a picture showing the 7 chakras found in ancient Kemet’s Book of Coming Forth By Day (Book of the Dead)? Examination of the actual primary source shows that what is thought of as 7 circles are not circles at all. 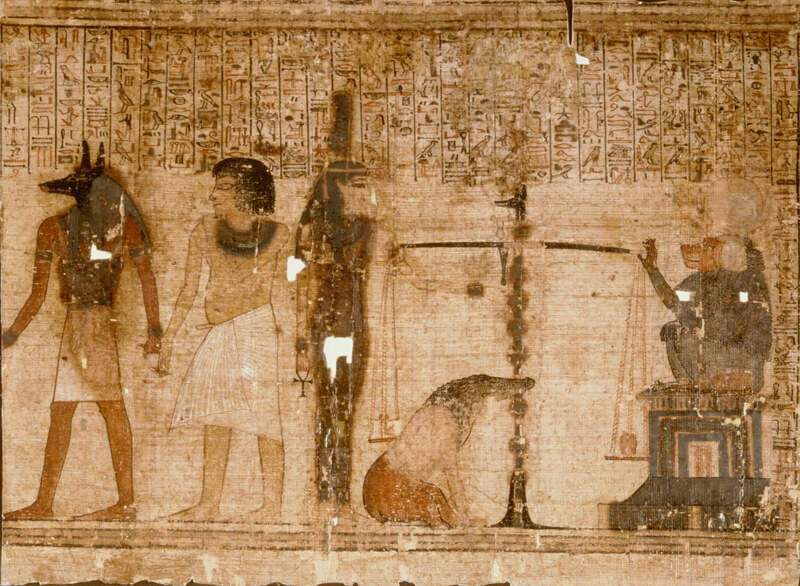 They are the result of the aging papyrus and color bleeding of the original ink. 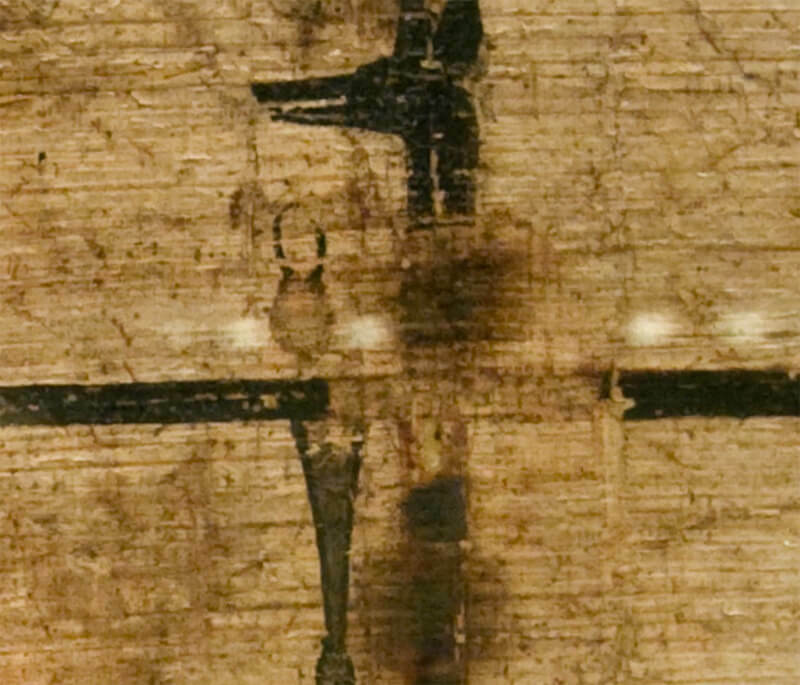 They appear as faded stains throughout the papyrus (close ups posted below). Nowhere in the inscriptions is there any indication of 7 circles or what can be interpreted as chakras. The inscriptions are consistent with the other Books of the Dead of other people that we find in the same Judgement Chapter. It is recommended that you obtain an HD quality facsimile from Lieden Museum of the Kenna Papyrus and examine it. This is an example of the level of attention we should all be accustom to in order to get an accurate view of Kemet culture – allowing the ancestors to speak for themselves. Close-up of the base of the scale which would be the bottom circle in Dr. Ashby’s work, but as you can see, there is no circle. 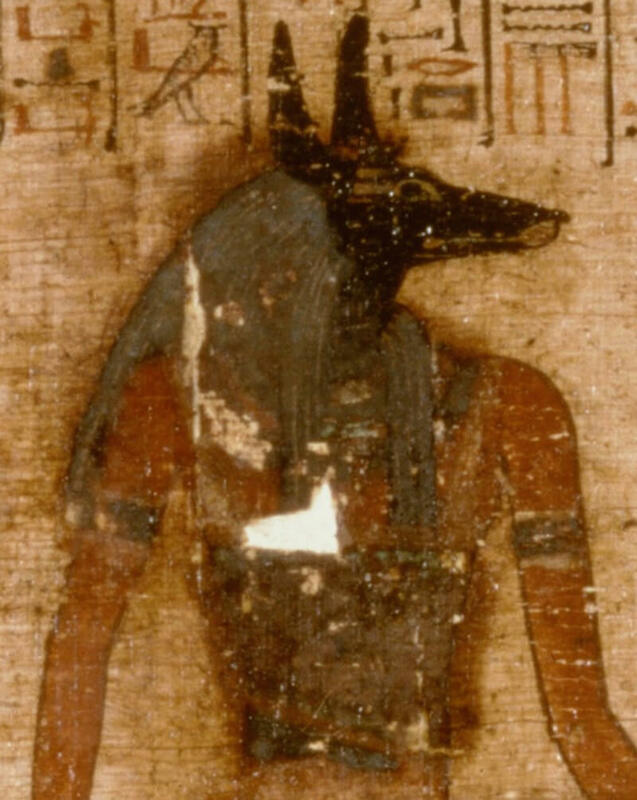 It’s the result of color bleeding and aging of the papyrus. There are no scribal lines to indicate a circle. 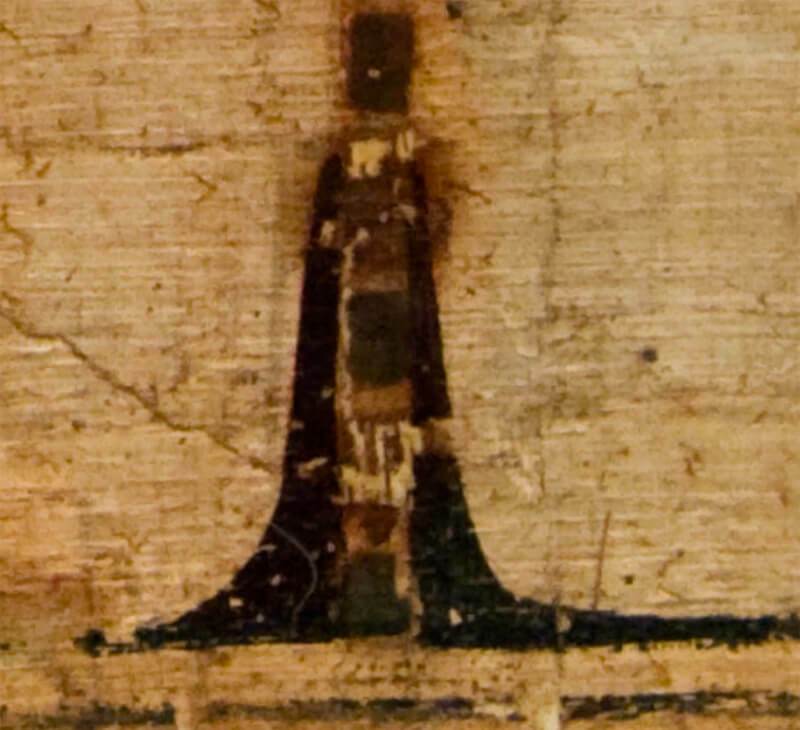 Close-up of the top of the scale showing another stain like the others which is the result of color bleeding and aging of the papyrus. There are no scribal lines to indicate a circle. Although this stain is like the others that give an appearance of a circle, Dr. Ashby excluded this one from his drawing, perhaps because this would throw off the number of assumed chakras from being 7 in number to 8. 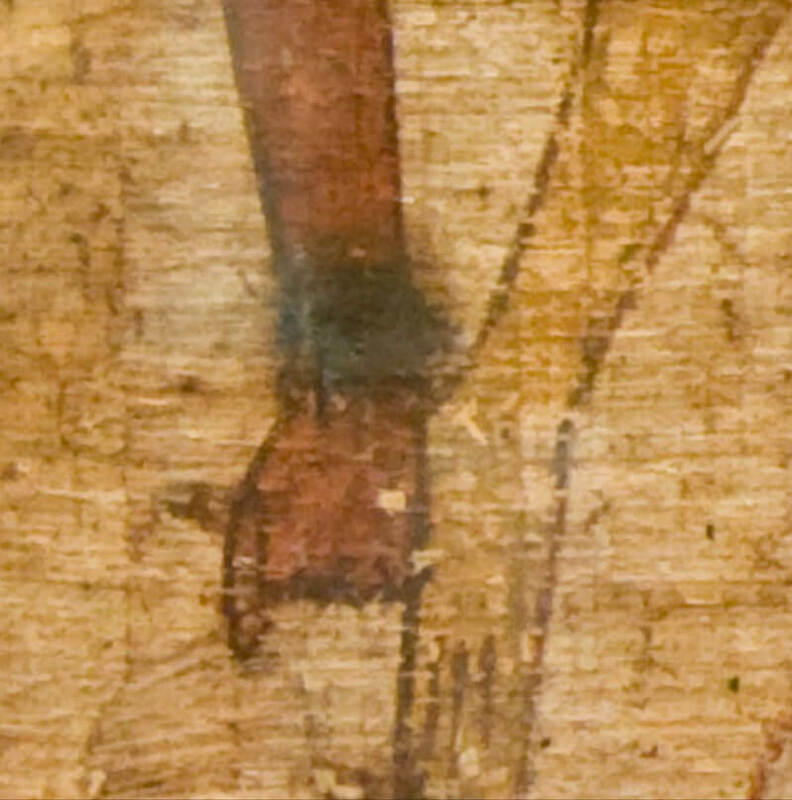 Close-up of the bracelet of Maat with the same bleeding effect giving the appearance of a circle, but it’s not. Here, we see the same color bleeding extending around Anpu’s chest. We can see what was scribed originally vs. the aging color bleeding. Close-up of Anpu’s bracelet where we can see the original scribal lines for the bracelet and the color bleeding beyond those lines. Here you see the color bleeding beyond Anpu’s head. 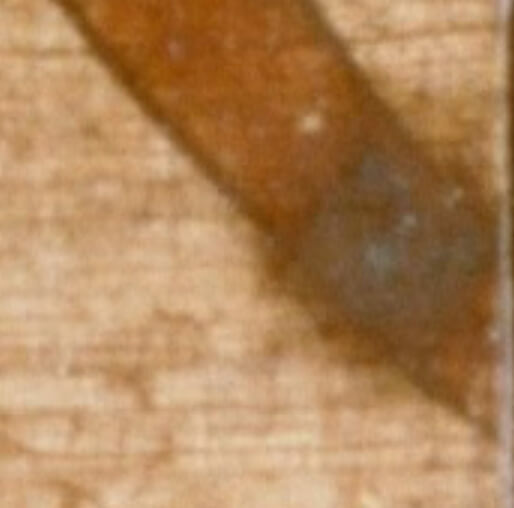 We see the original scribal lines and the bleeding effect beyond those lines. Images/figures and inscriptions are never separate. The inscriptions make no mention of circles or chakras etc. 2 – I show the effects of age and color bleeding. The “circles” are a result of the age and color bleeding of the original ink. There are no circles in the original work, they are originally rectangles that are part of the main post of the scales. 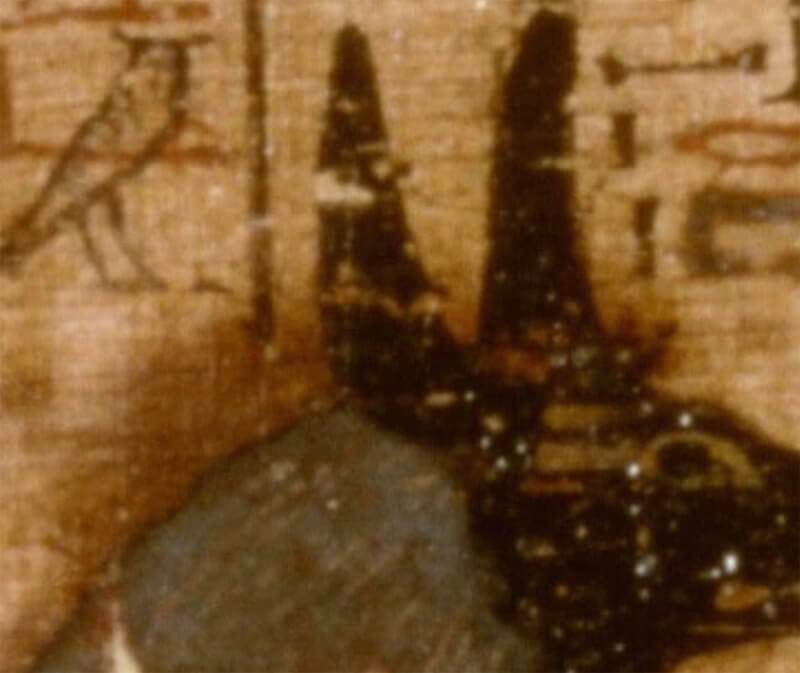 Just as Maat and Anpu’s bracelets original shapes are rectangular to fit the contour of their wrists/arms but because of aging and the bleeding of the color of the ink, they now appear as faded circles extending beyond the action scribal lines in the original inked drawing. What is shown are the effects of age and color bleeding. The “circles” are a result of the age and color bleeding of the original ink. There are no circles in the original work, they are originally rectangles that are part of the main post of the scales. Just as Maat and Anpu’s bracelets original shapes are rectangular to fit the contour of their wrists/arms but because of aging and the bleeding of the color of the ink, they now appear as faded circles extending beyond the action scribal lines in the original inked drawing.